The Rt. 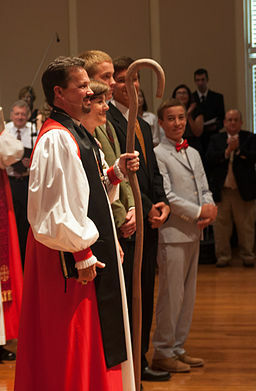 Rev’d Step hen D. Wood was elected as the first Bishop of the Diocese of the Carolinas by the College of Bishops on June 5, 2012. He was consecrated Bishop at St. Andrew’s Anglican Church in Mt. Pleasant, SC by Archbishop Robert Duncan on August 25, 2013. Co-Consecrators Archbishop-elect Stanley Ntagali of Uganda, and Bishops Roger Ames, Alphonza Gadsen and John Guernsey. He was installed as Rector of St. Andrew’s Anglican Church in Mt. Pleasant, SC by Bishop Edward L. Salmon, XIII Bishop of South Carolina, on September 1, 2000. 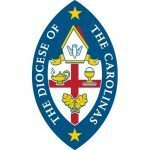 Under Bishop Wood’s leadership, St. Andrew’s was described by the Charleston Post & Courier as, “one of the Lowcountry’s biggest church success stories,” growing to a membership of more than 3200 and planting new churches in Goose Creek, SC and downtown Charleston. In 2006 Bishop Wood was one of three finalists in the election for Bishop of South Carolina. Born October 12, 1963, Bishop Wood is the oldest of two sons born to the late Elanore Mitchell (Smith) Wood and the late Jewell Nelson Wood. He attended Lake Catholic High School in Mentor, Ohio, graduating in 1981. He earned a Bachelor of Arts degree in History from Cleveland State University in 1986. He then completed his priestly formation at the Protestant Episcopal Theological Seminary in Virginia where he earned a Masters of Divinity. Bishop Wood was married to Jacqueline Elizabeth (Benner) Wood on February 1, 1986. Together, they have four sons, one grandson and one granddaughter. Bishop Wood was ordained to the diaconate on June 15, 1991 and to the priesthood on February 1, 1992 by Bishop James R. Moodey, VIII Bishop of Ohio. He was appointed Vicar of St. Anne-in-the-Fields in Madison, Ohio where he served until April of 1995. He then served as Associate Rector and Chief of Staff at St. Luke’s parish in Bath, Ohio until his move to South Carolina. Connect with Bishop Wood on his blog, TreadingGrain.com, Twitter (@revstevewood) and on his Facebook page.